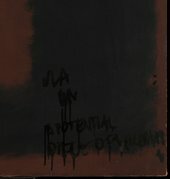 The Rothko Conservation Project was established to treat the damage caused to Rothko Black on Maroon (T01170) following an incident on 7 October 2012. Black ink, identified as a graffiti product, was drawn on the lower right corner of the painting and penetrated through the paint and canvas, drying very quickly. As the ink was broadly sensitive to solvents which also would affect the original paint, an extended project was developed to research solutions in order to effectively treat the work. The goal of the project was to return the painting to a displayable condition, eradicating all visible evidence of the ink under normal gallery conditions. 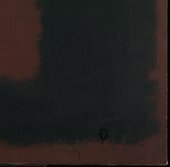 Rothko’s works are renowned for the subtlety of their layered surfaces, which include complex combinations of oil, pigments, colourants, resins, egg and glue. 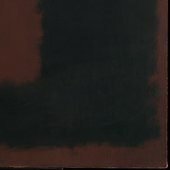 Before attempting to restore Black on Maroon, the many layers had to be analysed from microscopic samples, building on the detailed research conducted for the 2008 Rothko exhibition at Tate Modern. The graffiti ink had penetrated several of these layers, in some cases soaking through to the back of the canvas, requiring a chemical solvent to be found which could remove this ink while limiting damage to the underlying original paint. Dr. Bronwyn Ormsby, Senior Conservation Scientist at Tate, worked with collaborators to narrow down the field from hundreds of potential solvents in order to find the best possible solution: a blend of benzyl alcohol and ethyl lactate. A variety of test canvases were then used to assess and develop the appropriate solvents and application methods. Based on extensive research, the treatment team created a painted sample which represented the layers in the painting, artificially ageing the sample with heat, humidity and light to approximate the material properties of the 1958 painting. 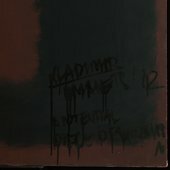 The Rothko family also donated a canvas for further testing, one which the artist had primed with pigmented glue-based size, created around the time the Seagram murals were painted. Using the well researched cleaning and retouching methods honed from this nine month testing process, Rachel Barker, Paintings Conservator at Tate, spent a further nine months working on Black on Maroon itself. Rachel painstakingly removed the majority of the surface ink before reversible conservation-grade materials were used to restore the painting’s surface. All of this research and conservation work was undertaken in close consultation with the Rothko family and with international experts with extensive experience of Rothko’s paintings. Although the damage will always remain under the restored surface of the work, Black on Maroon has now been returned to a displayable condition. It is back on public view at Tate Modern, thus reunited with other paintings in the Seagram series. In accordance with Rothko’s wishes, these works are shown at low light levels in a dedicated room, creating a meditative, immersive environment.